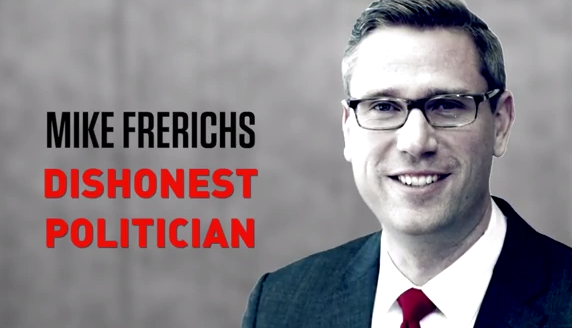 Illinois State Senator Mike Frerichs - Democrat from Gifford, Illinois - wants to be the Illinois State Treasurer. Check out what he's been up to and we think you'll agree with us that we need to keep this guy as far away from our state's finances as possible. Six months ago, Democrat Illinois State Senator Mike Frerichs launched his campaign for Treasurer. Let’s take a moment to look at some of the highlights from his campaign so far and you can decide for yourself if he's fit for office. Heard enough? If you've gotten down to this point and want to read more about this guy and why he's so wrong for Illinois, check out our "Mike Frerichs for Illinois State Treasurer Archives". There, you'll find everything we've written about "Tax Hike Mike" in one easy, convenient place.